Lampas 1875. Chatel & Tassinari pour la maison G.J Servant & Cie, Lyon. The collection revisits a collective memory of Haute Couture. Disassembled and reassembled in strata of periods, iconic places and images, it is recomposed like an exquisite corpse. Relics that have been transformed in homage and archetypes with erased and re-coloured lines comprise a collection that blends makeshift clothing with a couture atelier’s exercise in perfection. What Couture usually conceals is revealed; samples and scraps of fabric are salvaged and re-embroidered to become ornamental. The clothing’s quest and the clothing itself are superimposed. 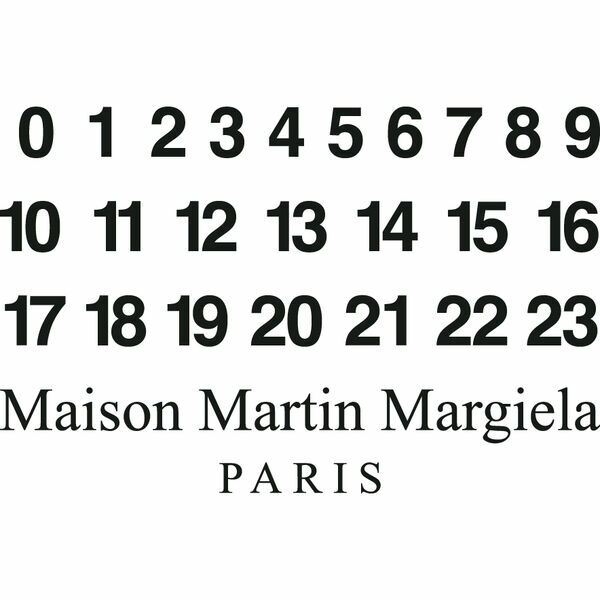 Since its founding in 1988, Maison Martin Margiela has collected used - and sometimes new - clothes, accessories and objects from around the world. One of the cornerstones of the Maison’s creative expression is resurrecting these vintage pieces and recasting them in a new way that preserves the mark of time. In addition to restoring and reworking these items, they are also reinterpreted in new fabrics. Each Haute Couture piece is made entirely by hand in the Maison’s artisanal atelier. The eccentricity of materials used and the complex and particular processes necessary at each stage of transformation, naturally limit quantities and ensure the unique character of these pieces.